Get the complete syllabus for CBSE Class 9 Hindi Course-B that issued by CBSE for the academic session 2019-20. Here you will know the prescribed course structure and the question paper design for annual examination. CBSE has released the revised syllabus for all subjects of Class 9 in new academic session. 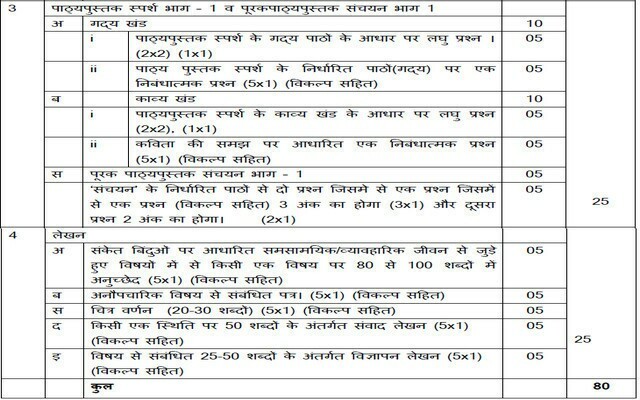 Here, we are providing the CBSE syllabus for Class 9 Hindi Course-B subject. Board has made certain changes in the course structure and the design of annual exam question paper of class 9 Hindi Course B. Students must go through the latest syllabus to know the learning formats and instructions suggested by the board and also get an idea of the question paper design. Having a clear understanding about your syllabus and the weightage of various topics and sections will definitely help you to decide how much time you should dedicate to each section. Generally, the exam papers for each course are designed as per the syllabus prescribed for that course. So, preparing according to the topic and instructions mentioned in the syllabus, obviously helps to crack the exam with good scores.